It is no secret that ATV is one fun adventure. Riding on a 4×4 vehicle and going through all kinds of terrain. With it is getting splashed with water and mud and whole lot of shrieks and giggles. Well, Sarangani now has ATV Adventure Tours available at 3DOE Farm, Malandag Trail, Lamlifew Trail and even as far as Sanchez Peak! Book your ATV Adventure with GO SARANGANI TRAVEL the official Booking Agent of 3DOE Farms. You can enjoy ATV as low as P600 per head or take the Malandag trail for 1.5 hours for only P1,500. per person. 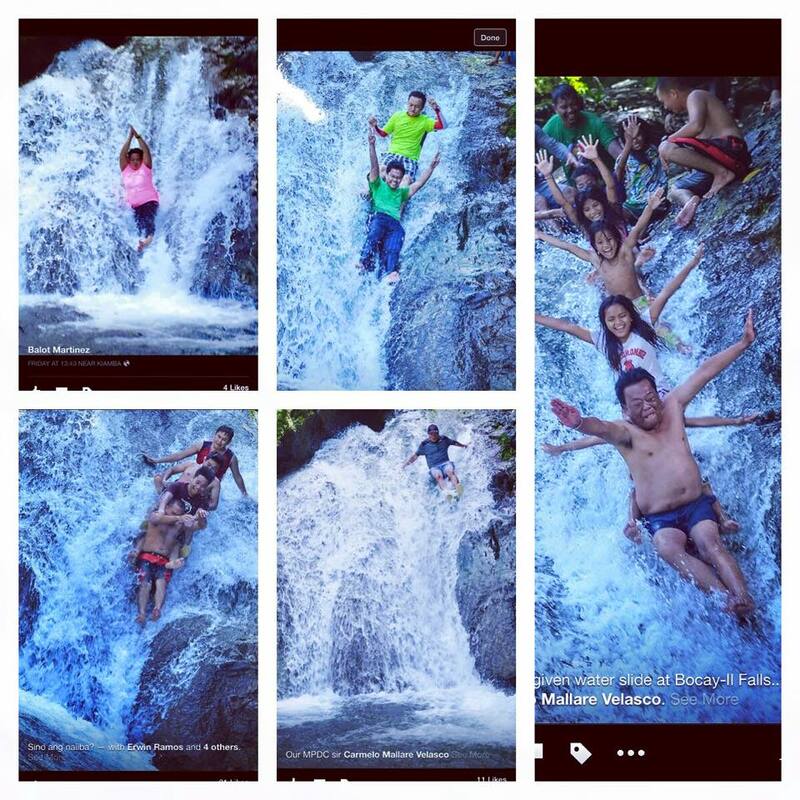 When you think of Adventure in SOX — You definitely have a taste of it here in SARANGANI! Sarangani celebrates its founding Anniversary with Music, Arts, History, and loads of fun! Here are the activities for those who want to join! MunaTo Cultural Village presents the “Thread of Life” interactive show. It is a one hour show that will narrate the music and movement of the Sarangani Indigenous People as they celebrate different phases of life. This is a first of its kind in this region. After the show, those who are interested to try the authentic Indigenous dishes, it will be served for as much as P100. The show has 4 schedules a day (9 AM, 11 AM, 2 PM and 4PM). You must book ahead of time because the show can only accommodate 80 people at a time! MunaTo will once again have different live museums – This includes the Looms and Beads Exhibit at the Kasfala Hall. Take a view at live weaving, live embroidery, and also an exhibit of the works of our Indigenous Artists in Sarangani. Another Museum worth seeing is the Wildlife Museum found at the Environmental and Conservation Center. See the underwater and upland exhibits and see the species found in Sarangani Bay and on the uplands of Sarangani Province. This is a very interesting exhibit that is very educational. A must see! There will also be the Sarangani Street Arts where 3D effects are great for photos. There are several displays worthy for your social media uploads. Fabli Guni is going to be a display of arts, crafts, and other agri products for sale! You will enjoy shopping locally produced items here. MunaTo Arcade is the area for commercial food and other booths . It is also a good place to cool off and eat! Enjoy the 14th MunaTo festival and the 24th founding anniversary of Sarangani Province. Check here their schedule of activities for more information! “SOX” or Soccsksargen is lucky to have 300 days a year for Paragliding flying making this the Paragliding Capital of the Philippines. Maasim, Sarangani has hosted 2 International Paragliding Accuracy Competition and the Paragliding World Cup in 2014 and 2015. This 2016, a new concept is brewing… Costume Fun Fly and it is going to gather all the paragliding pilots from all over the Philippines to create an Air Festival out of our Sarangani skies. This October 29-31, expect to see colorful costumes jump off the cliff of Safi Ranch. This is also an opportunity for you to try a paragliding tandem fly at a discount! This National Paragliding Fun Fly will also have side events such as Kiting clinics and also a Trick or Treat Fun! It will be an awesome event to spectate and the best part is that it is absolutely free to watch. So take your friends and your family! Enjoy this super fun festival in the sky this October 29-31, 2016 in Sarangani. 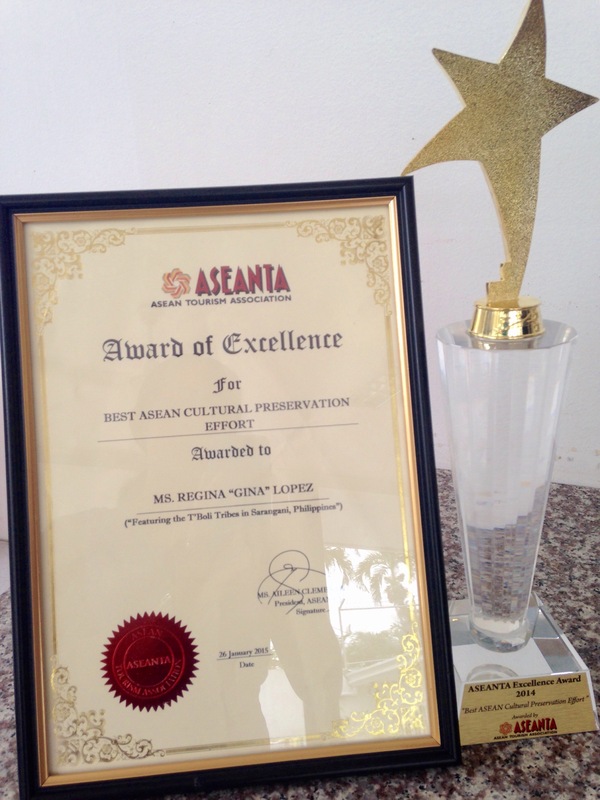 A surprise gift of Ms. Gina Lopez and the Green Initiative of Abs -Cbn Lingkod Kapamilya Foundation to Sarangani is the 2014 ASEANTA Award. Abs-Cbn as a partner of Sarangani in community based tourism initiatives enrolled the New La Union River Tubing and Eco Park as a contender for ASEAN Tourism Association’s search for Tourism Best Practices. It was in January 26, 2015 in Myanmar that the New La Union River Tubing and Eco Park through Ms. Gina Lopez, was commended for the successful cultural preservation of the Tboli tribes of Sarangani through Tourism. One of the highlights of a tourist’s visit to New La Union River tubing and Eco Park is being greeted by the Tboli performers. Another attraction is seeing the Tboli basketry works used for farming and very soon for sale to the public. This recognition is another achievement on the sleeve of Sarangani Province. The Provincial government through its Sulong Tribu Program supports the Indigenous People’s interests through School of Living Tradition, Strengthening of Tribal Councils, Promotion of Cultural preservation by supporting Cultural Masters, Economic Empowerment through Education, IP agriculture, IP estates, and tourism. Sarangani also received in 2014 the Pearl Award for Best Tourism Event in Sports, Adventure and Wellness for Sarangani Bay Festival. SARBAY 2015 GOES VIRAL ONLINE! The Sarangani Bay Festival (also known as Sarbay Fest) has become a Summer Brand that attracts beach goers and athletes from all over the Philippines. 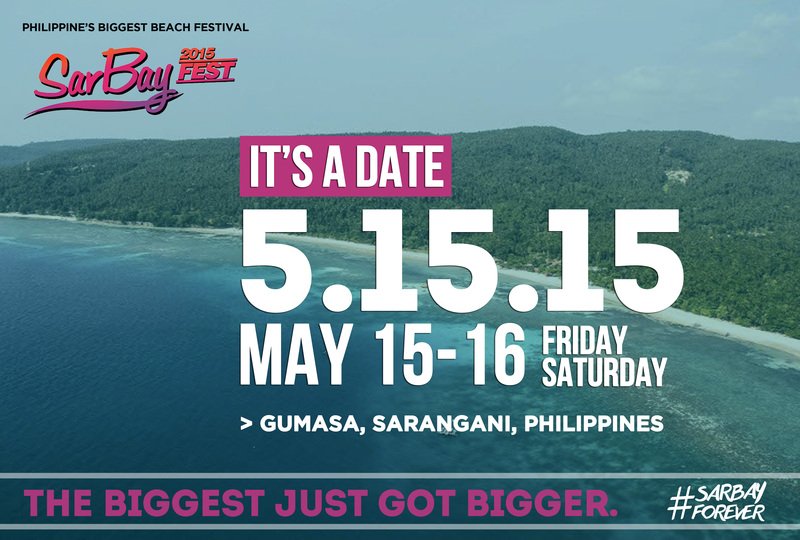 Sarbay Fest started in 2006 will now be celebrating its 10th year this May 2015. Governor Steve Chiongbian Solon promises this 2015 “to be bigger and better than the last Sarbay”. This Festival was awarded the Pearl Award Grand Winner for Best Tourism Event in Sports, Adventure, and Wellness by the Association of Tourism Officers of the Philippines (ATOP) and Department of Tourism (DOT). In a matter of 24 hours, the news was well received and has gone viral with over 170 shares on facebook and more than 2,500 views! It will be no wonder that this year’s Sarbay Fest will be bigger than last years. As early as January, the province of Sarangani has began their preparations for Sarbay Fest’s 10th year. Take note also of the date and start planning your way to Sarbay 2015! After last year’s successful International Paragaliding Accuracy Competition held at Safi Ranch, Maasim, Sarangani Province, another international aero sport event will be hosted by Sarangani Province in 2015. 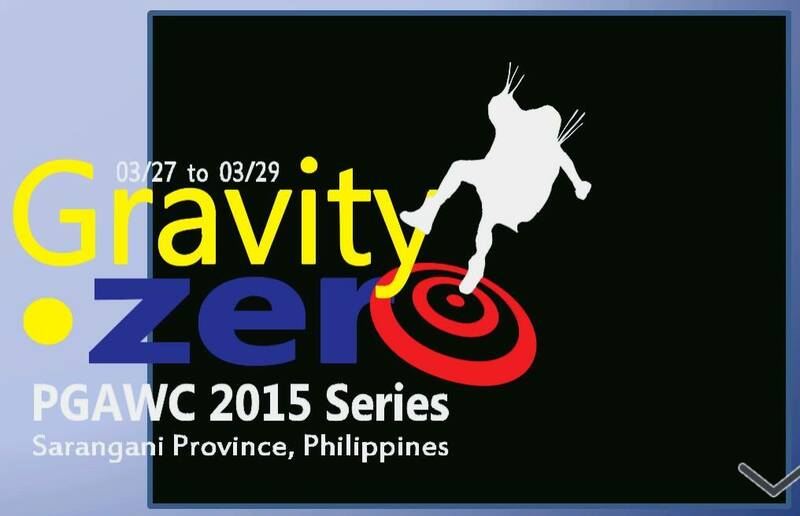 The Paragliding Accuracy World Cup (PGAWC) will have one of its legs in the Philippines and specifically in Sarangani Province. 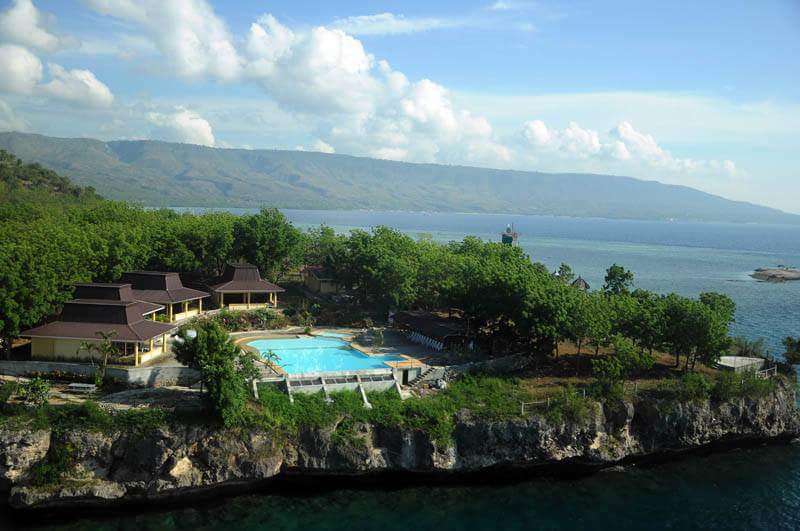 Safi Ranch in Maasim, Sarangani boasts to have one of the best scenic paragliding spots in the world. Expected to come are competitors from atleast 15 countries with an expected 60 paragliders from all over the world. The date is set on March 27-29, 2015 and the PGAWC is one of the events enrolled in the Visit Philippines 2015 campaign of the Department of Tourism. Many side events are also planned at Safi Ranch such as Archery Competition and Clinic, Power Kiting, Photo Safari Competition, Tours, Camping and lots of funfare with trade show and fairs. This will be one fun event to look forward to and to experience. Sarangani is now geared as a Sports Tourism haven of Region 12. Every May, Sarangani holds the Biggest Beach Festival with sports competition such as the 15 km Swim Across The Bay competition, Beach Football, Beach Volleyball, Triathlon, and the like that bring in about 650 athletes from all over the Philippines. 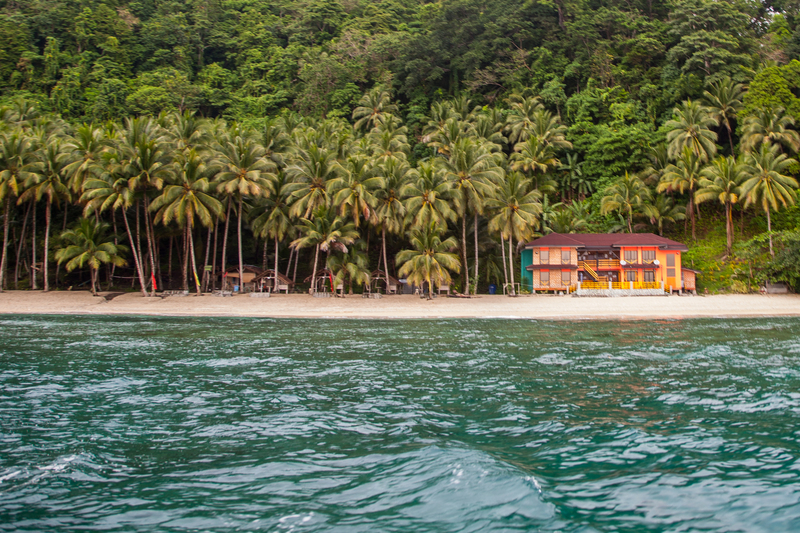 Sarangani is also known for water sports such as Scuba Diving, Kayaking, and Hobie Cat. New La Union River Tubing in Maitum is one thrilling experience as well. For those interested to watch and experience this World Event in Paragliding, you can book with Go Sarangani Travel for your hotel, transfers, and tours. 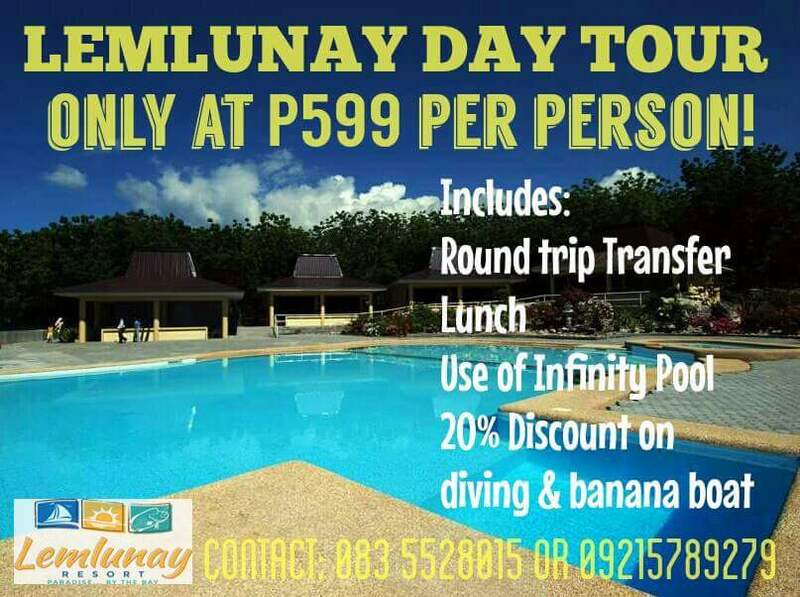 Just contact gosaranganitravel@gmail.com or like GO SARANGANI TRAVEL on Facebook.